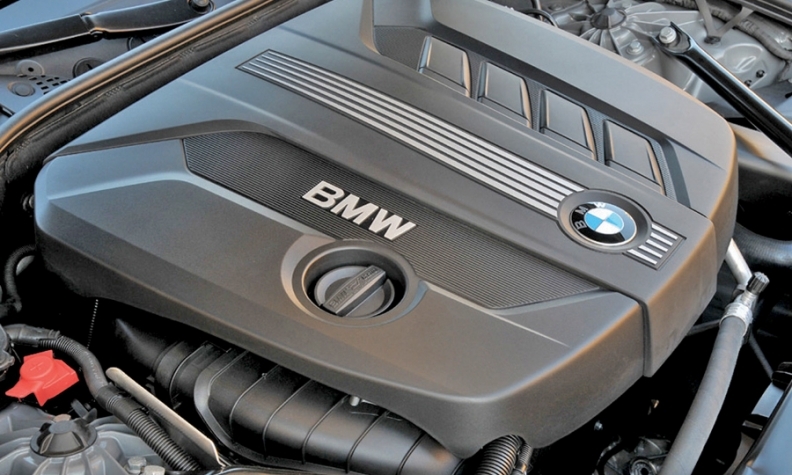 Reducing the size of engines is a key to BMW's EfficientDynamics fuel-saving program. BMW made its name in America in the 1970s selling cars with racy four-cylinder engines. But the company last offered a four-cylinder in 1999 on the 318ti. Now this high-performance company is moving to smaller engines, including a new generation of four-cylinders, on multiple models. Reducing engine size is a key to EfficientDynamics, the automaker's fuel-saving program. But the devil is in the details. To return to a four-cylinder engine while sustaining the company's performance identity, BMW engineers had to "down-speed" the engine, or make it generate the same power at lower revolutions per minute. For instance, third gear still had to perform at around 4,500 rpm. BMW also added counterbalance shafts to dampen vibrations and replaced the steel crankshaft with aluminum to cut weight. To reduce friction, the company used lighter alloys for bearings and used new coatings on the engine's cylinders, pistons and rings. An electric cooling pump and electric steering replaced heavier hydraulic systems. "Using electric power as much as possible on features is the way of the future because it can be computer-controlled," says Tom Baloga, vice president of engineering at BMW of North America. "You can use it only when you need it." BMW installed an electric oil pump on its 2012 3 series after the technology received a successful tryout on BMW's low-volume, high-performance M5. The benefits are real. Controlled oil use requires less pumping power, which reduces the burden on the engine. That means a smaller engine can power the vehicle, which means lower vehicle weight and less gasoline consumed. "The fastest and most significant thing you can do is decrease the size of a vehicle's engine," Baloga says. "But that's no small feat. We have to do 15 or 18 different things to the powertrain to reach those significant improvements."